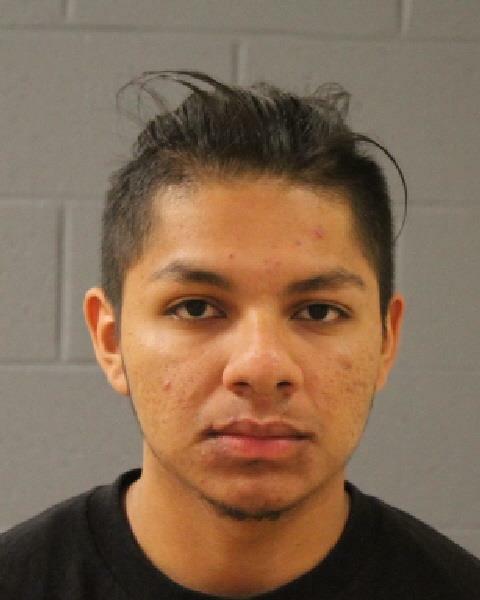 ST. GEORGE – A 21-year-old St. George man has been charged with felony kidnapping after allegedly taking his 14-year-old girlfriend to El Salvador where they had planned to stay until she was considered old enough to get married. Brayan Zelaya-Lopez was taken into police custody Tuesday and charged with second-degree felony kidnapping for taking the girl across state lines. Earlier in the month, the parents of the teen had reported their daughter missing and suspected she had run away with Zelaya-Lopez. “The family suspected that Brayan had recently begun a romantic relationship with their daughter (based on the language of discovered electronic communications) and they had not approved of this,” the arresting officer wrote in a probable cause statement in support of the arrest. About 1 ½ months prior to the alleged kidnapping, the teen’s parents punished her for having the relationship with Zelaya-Lopez and attempted to restrict her from seeing him, according to the police report, which added that despite these efforts, the teen and Zelaya-Lopez kept taking to and seeing each other. The teen’s parents reported her missing just over a week ago. Attempts to contact Zelaya-Lopez led to police encountering the man’s parents. “They told the officer a family member in El Salvador had confirmed that Brayan had arrived there and was accompanied by a young woman,” the statement reads. The investigating officer was then able to contact Zelaya-Lopez and speak briefly with the 14-year-old girl, who was with him. Zelaya-Lopez told the officer that they had traveled to El Salvador because the girl’s family did not approve of their relationship and it was a spur of the moment idea, the police report states. The two were already trying to get tickets for flights back the U.S. when the officer called. Soon after, the girl’s father was also able to speak with her over the phone. The girl’s father supplied her with a plane ticket, and she was able to return home a few days after being reported missing. Zelaya-Lopez also flew back at the time. While the girl’s parents were correct in assuming their daughter had run away with Zelaya-Lopez, they had no idea about the plans to go to El Salvador, the investigating officer wrote in the probable cause statement. However, the teen had left a handwritten goodbye note indicating she was sorry to leave home. St. George Police caught up with Zelaya-Lopez and took him into custody to be interviewed. Zelaya-Lopez was subsequently charged with second-degree felony kidnapping and was booked into the Washington County Purgatory Correctional Facility. He has since been released on bail. if they’d have ask me I could’ve told them that el salvador is kinda crappy, at least by many standards. Gotta spend more time milking the goats and feeding the chickens, and farming and stuff. Not a lot of time left over to twiddle with the smart phone all day, which i have a feeling is the life these two would prefer. I might be thinking of another country, lol, but still.